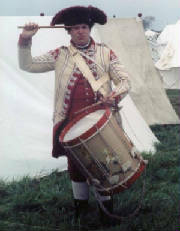 The 22nd Regiment boasts a very accomplished Field Music Program led by Past Fife Major of the Brigade of the American Revolution, Gary Vorwald. 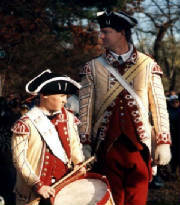 Also in the ranks is the current Drum Major of the Brigade of the American Revolution, Robert Wnukowski. 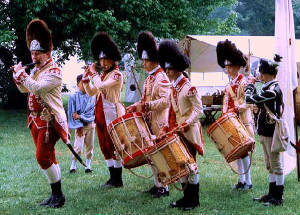 The musicians are the hardest working people at most reenactments, waking the troops in the morning, performing duty calls, public demonstrations, and marching into battle with the troops during the day, and putting the troops to bed in the evening. Not to mention practice, practice, practice. 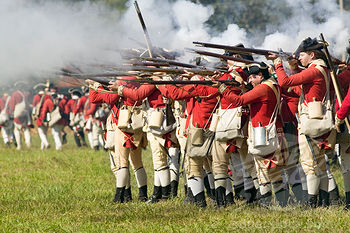 This is a great place for young men interested in joining our group but who are too young to carry a musket, as well as musicians interested in military history. Below are some pictures of the Music in action.